Navy Border Note Cards In Ecru Personalized With Name And Email, Envelopes Included | See Thumbnail Images For Options. Your correspondence always gets opened first. Why? Because it's always written on note cards that are the ultimate in style! 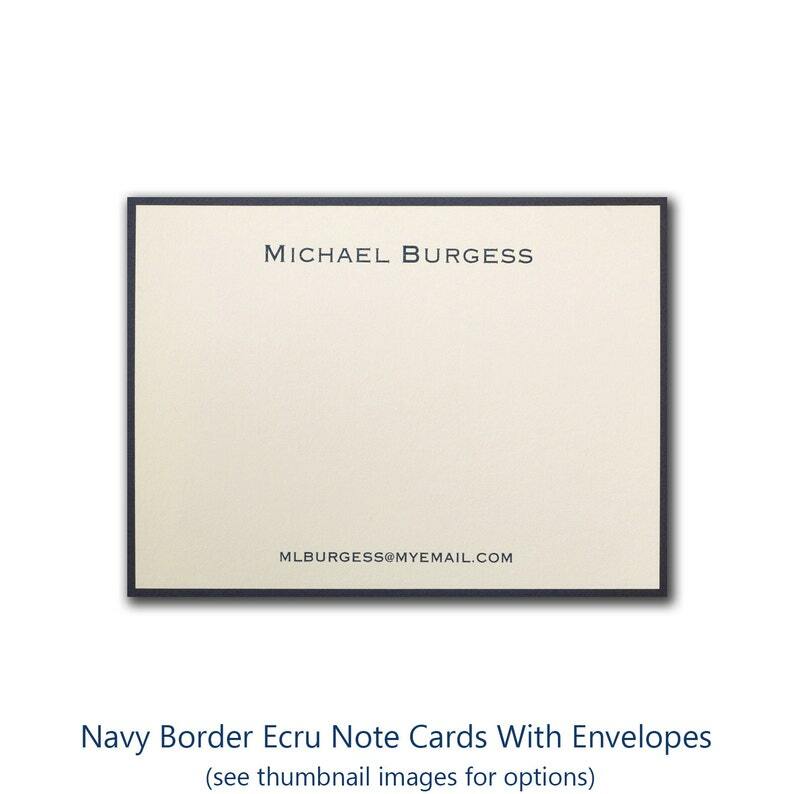 Ecru note cards have a navy blue border to accent that style.